The definitive book on adrenal fatigue is by James L Wilson, PhD, a self-help guide for all of us chronically stressed out members of the “rat race” suffering from this new 21st century epidemic. In his book, Wilson outlines how to diagnose and treat adrenal fatigue, a syndrome not yet recognized by mainstream medicine and it should be. I found Chapter 10 on physical signs of adrenal fatigue the most useful, describing findings on physical examination such as the unstable pupil (see video below) reduction upon standing, and Sergent’s white line test. Chapter eleven of Wilson’s book covers the different cortisol testing methods available for cortisol in saliva, blood, and urine, as well as the ACTH stimulation test. Wilson favors the 4 sample salivary cortisol test as the easiest and most convenient method, with the added advantage that salivary testing can done at home without a doctor’s prescription. Upper Left Image: Cortisol Chemical Structure Courtesy of Wikimedia. Adrenal fatigue is the net result of years of continuous high cortisol output by the adrenals caused by chronic stress from job, family, illness, injury, and poor diet and lifestyle associated with high-tech modern living. After years of chronic stress, the two small triangular supra-renal glands poop out, and we become another casualty of adrenal fatigue, the 21st century epidemic. Since mainstream doctors can’t seem to help, either ignoring the syndrome, or prescribing anti-depressants for it, this self-help book may be a life-saver. “Adrenal Fatigue is a collection of signs and symptoms that results from low function of the adrenal glands. The paramount symptom is fatigue that is not relieved by sleep. The syndrome may be caused by intense or prolonged stress, or after acute or chronic infections, especially respiratory infections such as influenza, bronchitis or pneumonia….People suffering from Adrenal Fatigue often have to use coffee, colas and other stimulants to get going in the morning and to prop themselves up during the day. “Courtesy of James L. Wilson web site. The keystone of the treatment program is a nutritional supplement program to restore adrenal function that includes vitamin C, B5, magnesium, biotin and adaptogenic herbs. We use a product called Adapt from Interplexus for the adaptogenic herbs. Another Interplexus product, Seriphos, is useful to correct the reversed pattern of high cortisol at night which may cause insomnia. Recovery takes about 6 weeks. Get plenty of sleep. Take steps to reduce stress with gentle exercise, meditation, and yoga. Bioidentical hormones as determined by lab profile. Low cortisol adrenal fatigue will place the body into a protective state in which metabolic rate is reduced to cope with the low cortisol production. The body accomplishes this reduction in metabolic rate by reducing thyroid function, usually by shunting thyroid hormone production into the reverse T3 pathway. This, in essence, inactivates the thyroid hormone and creates a functional low thyroid state. Thyroid labs will show a low thyroid state, and giving thyroid hormone in this scenario is a common pitfall to be avoided. Giving thyroid hormone to a patient with low cortisol adrenal fatigue will only make the patient feel worse. 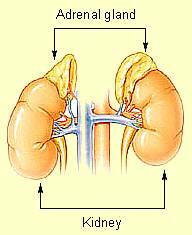 The low adrenal function must be addressed first before attempting to raise thyroid levels. This is done with a salivary cortisol test (4 samples) and a nutritional supplement program over 6 weeks as described above. In the event the patient is already taking thyroid hormone medication which doesn’t seem to be working or is not tolerated, then the most likely issue is low cortisol adrenal fatigue. Once this is addressed, the patient will be able to tolerate thyroid medication. An excellent article on HPA axis dysfunction in CFS/FM that was published in Journal of Chronic Fatigue Syndrome by Kent Holtorf MD. Click here to read full text .pdf file of the article. In the article, Dr Kent Holtorf points out that adrenal fatigue is commonly associated with fibromyalgia with underlying dysfunction of the HPA, the hypothalamic pituitary axis. Dr Kent Holtorf goes on to say that hypothalamic-pituitary dysfunction results in low pituitary hormone output including low TSH, low Growth Hormone, low ACTH, etc, which may not be detected with conventional testing. Associated symptoms include insomnia. immune dysfunction with chronic infections, autonomic nervous system dysfunction, and gastrointestinal distress Dr. Holtorf’s multifaceted treatment approach includes low dose cortisol (5-15 mg per day). This was originally advocated by William McJefferies MD, and more recently by Jacob Teitelbaum MD. The low dose cortisol is only one part of a multi faceted treatment approach. We have found that many patients with Chronic Fatigue/ Fibromyalgia Syndrome have in addition to all the above, additional problems with gluten sensitivity, leaky gut and other food sensitivities. There may be malabsorption of vitamins minerals and amino acids. There may also be leakage of LPS (lipo-saccharides from enteric bacteria) into the blood stream. Testing with Cyrex arrays, Enterolabs, and the ALCAT are useful here. Saliva Reference Summary, ZRT Laboratory (3-12-01) METHOD VALIDATION, For your convenience, a brief summary of published, scientific articles on saliva testing of hormones, particularly in reference to a comparison with blood serum testing, is provided below. These articles redress a common misconception among health care providers that there is little research to support the efficacy of saliva testing for hormonal imbalance. The summaries also serve to illuminate the substantial volume of clinical and scientific research that has in fact been published on the topic. Am J Psychiatry 162:807-809, April 2005 Brief Report Enhanced Early Morning Salivary Cortisol in Neuroticism Maria J. Portella, M.Sc., Catherine J. Harmer, D.Phil., Jonathan Flint, D.Phil., Philip Cowen, M.D., F.R.C.Psych., and Guy M. Goodwin, D.Phil., F.R.C.Psych. Common Hormonal Problems in CFS – Adrenal Underactive adrenal gland (DHEA and cortisol) If the pituitary gland is underfunctioning then the adrenal gland will also underfunction. However the gland itself may fail as a result of chronic stress. Questionnaires. The questionnaires in this section are not intended to diagnose any illnesses. They are purely informational and may help you see if there is a problem you need to pay attention to or consult a doctor about. Click on the questionnaire in blue below to you would like to take. Salivary cortisol response to awakening in chronic fatigue syndrome Amanda D. L. Roberts, PhD The British Journal of Psychiatry (2004) 184: 136-141 Background There is accumulating evidence of hypothalamic—pituitary — adrenal (HPA) axis disturbances in chronic fatigue syndrome (CFS). The salivary cortisol response to awakening has been described recently as a non-invasive test of the capacity of the HPA axis to respond to stress. The results of this test correlate closely with those of more invasive dynamic tests reported in the literature; furthermore, it can be undertaken in a naturalistic setting. Aims To assess the HPA axis using the salivary cortisol response to awakening in CFS. Method We measured salivary cortisol upon awakening and 10, 20, 30 and 60 min afterwardsin 56 patients with CFS and 35 healthy volunteers. Results Patients had a lower cortisol response to awakening, measured by the area under the curve. Conclusions This naturalistic test of the HPA axis response to stress showed impaired HPA axis function in CFS. 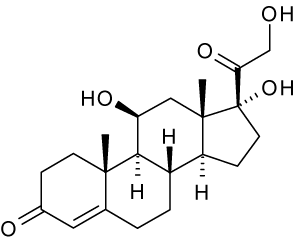 Cortisol (The Hormone of Death). The most important anti-stress hormone in the body is cortisol. Cortisol protects the body from excessive stress by: Normalizes blood sugar – Cortisol increase blood sugar level in the body, thus providing the energy for the body to physically escape threat of injury in order to survive. Cortisol works in tandem with insulin from the pancreas to provide adequate glucose to the cells for energy. More energy is required when the body is under stress from any source, and cortisol is the hormone that makes this happens. In adrenal fatigue, more cortisol is secreted during the early stages. In later stages ( when the adrenal glands become exhausted), cortisol output is reduced, and blood sugar balance becomes a problem. Anti-inflammation Response – Cortisol is a powerful anti-inflammatory agent. When we have a minor injury or a muscle strain, our body’s inflammatory cascade is initiated, leading to swelling and redness commonly seen when a ankle is sprained or an insect bite. Cortisol is secreted as part of the anti-inflammatory response. It’s objective is to remove and prevent swelling and redness of nearly all tissues. These anti-inflammatory responses prevent mosquito bites from enlarging, bronchial tress and eyes from swelling shut from allergies, and swelling from being too intense. Immune System Suppression – People with high cortisol levels are very much weaker from the immunological point of view. Cortisol influences most cells that participate in the immune reaction, especially white blood cells. Cortisol suppresses white blood cells, natural killer cells, monocytes, macrophages, and mast cells. It also suppresses the auto-immune system response to foreign insult. Vaso-constriction – Cortisol contracts mid-size arteries. People with low cortisol (as in advance stages of adrenal fatigue) have low blood pressure and reduced reactivity to other body agents that constrict blood vessels. Cortisol tends to increase blood pressure that is moderated by calcium and magnesium. Physiology of Stress – People with adrenal fatigue cannot tolerate stress and will then succumb to severe stress. As their stress increases, progressively higher levels of cortisol are required. When the cortisol level cannot rise in response to stress, it is impossible to maintain the body in optimum stress response. In this respect, we can conclude that stress does kill. SALIVARY CORTISOL IN CRITICAL CARE PATIENTS. Eduardo F. Sad et al. CONCLUSION: We conclude that salivary cortisol, a broadly available method but still not routinely used, can be a better method to assess hypothalamic-pituitary-adrenal axis in critical care patients, in which serum total cortisol is greatly influenced by low levels of protein, a common complication of these patients. CLINICAL IMPLICATIONS: Salivary cortisol can become a good , easy and confiable test for the diagnosis of adrenal insufficiency in critical care patients. It is still necessary to determine normal salivary cortisol levels in these patients to establish this criteria.